Delivers higher performance through blazing clock rates. 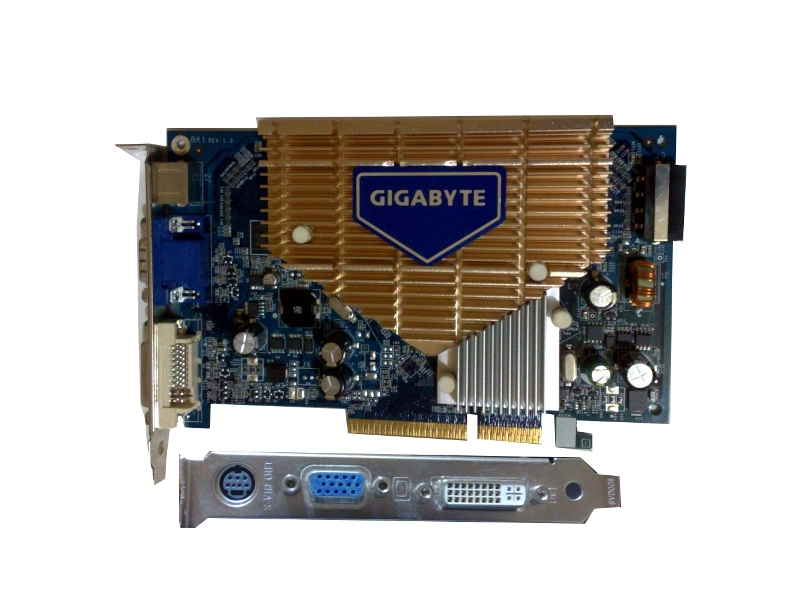 As a citizen of the global village, GIGABYTE exert ourselves to be a pioneer in environment care. on at the higher temperatures required for lead free solder. One Earth and GIGABYTE Cares! Able to drive the industry's largest and highest resolution flat-panel displays up to 2560x1600. CineFX 4.0 that streamlines the creation of complex visual effects. 16x anisotropic filtering, and support for transparency supersampling and multisampling. Ensure top-notch compatibility and performance for all OpenGL 2.0 application. Ensures the best performance and application compatibility for all DirectX 9.0C applications. environments in games, without compromising overall PC performance. movie players, plus all the features found in PureVideo. operating system (OS) from Microsoft. more complex models and detailed textures, creating richer and more lifelike environments. VGA BIOS from Internet automatically. *Dual integrated 400MHz RAMDACs for analog display resolutions up to and including 2048x1536 at 75Hz.